This is great served as a side dish for Kung Pao chicken or on it’s own as a full meal by adding stir fried chicken, pork, beef or shrimp. In a small mixing bowl mix sauce ingredients and set aside. Heat wok, add cooking oil and lightly saute cabbage and celery – add ginger and garlic. Remove from wok to a bowl – add sauce to bowl and bring to a boil, allowing it to thicken and become glossy. Add noodles and stir fry quickly just allowing them to soften and absorb the flavor of the sauce. Return sauted vegetables to wok and quickly stir through. 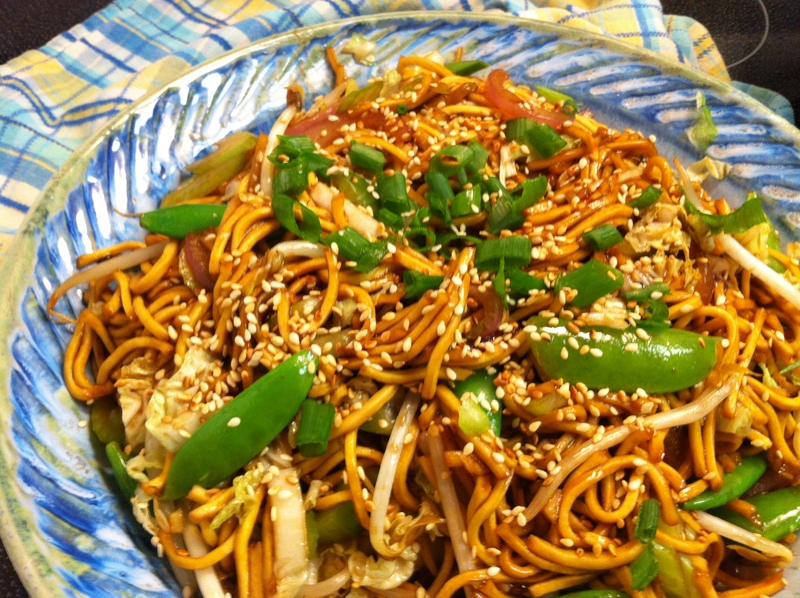 If you want to make a meal in one – stir fry any type of protein you choose in the wok and add it to the chow mein – so versatile with any number of vegetables. Go ahead and experiment – let me know what you try and how you like it!